Browse: Home / 2015 / November / 17 / 2015 Advent and Christmas Reflections Now Available! 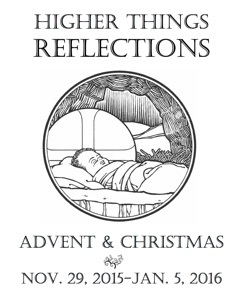 Higher Things is pleased to announce the Advent and Christmas Reflections! Covering the season of Advent and the Twelve Days of Christmas, this batch of daily devotions runs from November 29, 2015 through January 5, 2016. You can download the Reflections as a printable booklet here and in a variety of other formats at higherthings.org/reflections.